It’s often attributed to Albert Einstein, but he isn’t the one who said it. It isn’t the definition of insanity either—but it does describe a trait we could call crazy. Our species tends to repeat past mistakes hoping our “good intentions” will be enough to change the results—this time. Then, a few months later, it starts all over again - the only change being the SAA debts that continue to grow along with the size of the bailouts. SAA has consumed R30-billion in wealth to date and wants more. That’s R30-billion that can’t be used for proper government functions—such as crime fighting. That’s R30-billion that taxpayers no longer have; to feed their families, put a roof over their heads, or educate their children. That’s R30-billion in jobs destroyed in the prosperous sectors of the economy to prop up a relatively small number of jobs at SAA. All this assumes that, this time, the bailouts will miraculously work the magic that failed to materialise from previous ones. But, if history is any indication—and it usually is—the cumulative debt in three years’ time will be greater and politicians of the future will be lamenting how yet another bailout is necessary to prevent the much larger debt from immediately coming due. Taxpayers were told SAA creates jobs because of tourism and trade, yet SAA has been cutting flights and ending services and has promised to cut even more. Minister of Public Enterprise Pravin Gordhan said the airline will not open new routes—it doesn’t have the funds. So, what has been happening as SAA cuts routes? One thing we discovered is that markets work - competitors are increasing their services to cover the very routes SAA abandoned. While the state-owned airline fails, private competitors such as British Airways and Lufthansa are increasing the number of seats on their airlines. Instead of doing so at taxpayer’s expense, they also happen to be taxpayers. 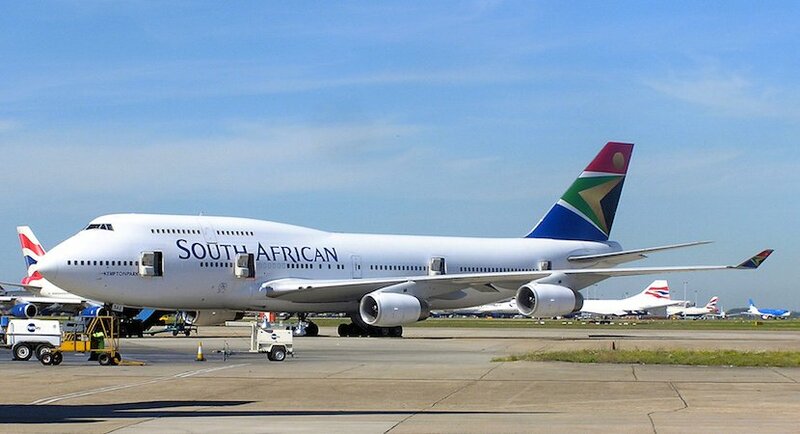 Mr. Ramaphosa asks whether South Africa can afford to close SAA- evidence suggests he should be asking whether South Africa can afford NOT to close it. 21 Nov 2018, 14:46 Rory Short Crazy is the only word to describe the continuous bail outs of SAA. It is a millstone round taxpayers necks we should close it.